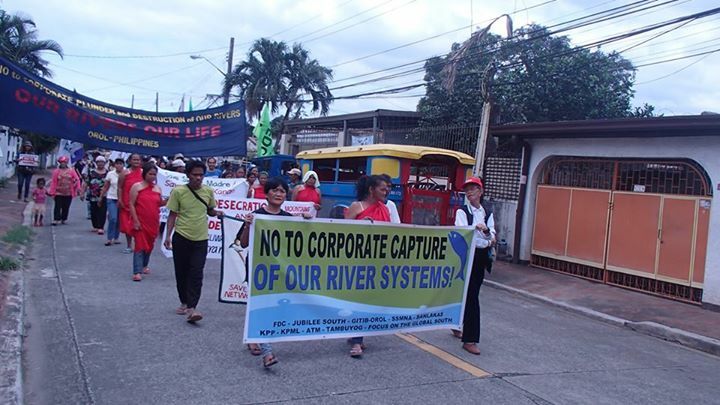 While urban Metro Manila demands more and more water, social and environmental costs are shifted to indigenous rural communities, who in turn demand to restore the true source of clean water: healthy forests and watersheds. The main objective of the New Centennial Water Source Project (NCWS), as stated by the Philippine government, is to increase water security through increasing water supply in the Metro Manila region, to meet future water demand and to reduce dependence on the Angat Dam reservoir. 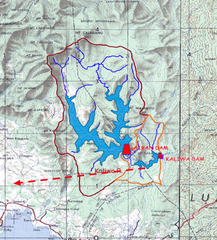 The broader project consists of two dams, one is the Kaliwa Dam as described in this entry; the other is the Laiban Dam and Laiban Hydro-Electric Power Plant (HEPP); the latter developed as separate project under a different procedure . The two dams were first submitted as one large project, which was later on divided and submitted as two separate projects, following recommendations of the National Economic and Development Authority (NEDA) . 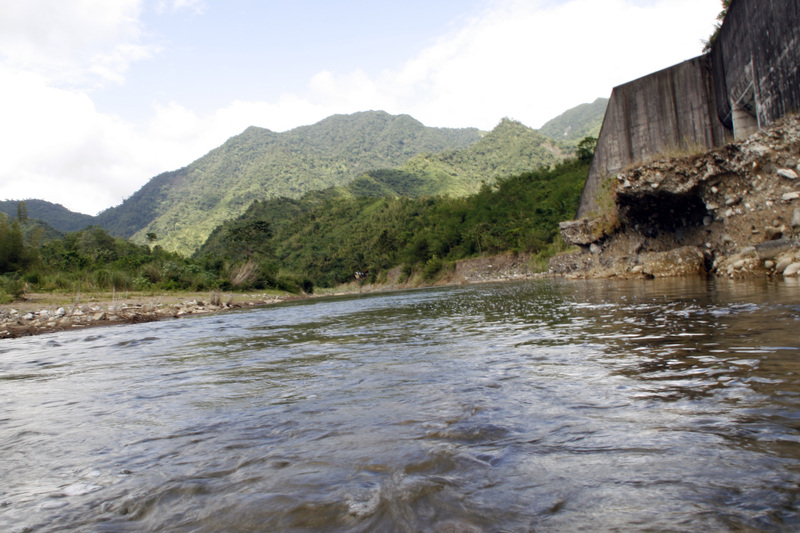 The Kaliwa-dam project was approved by the NEDA board on May 29, 2014 . Construction phase has been reported to be scheduled to terminate in 2019 . 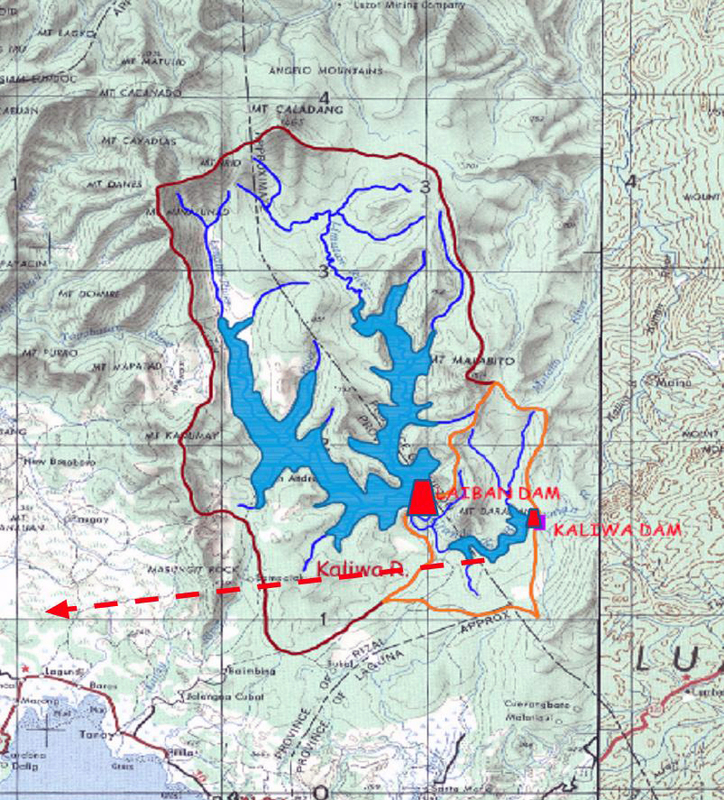 The Kaliwa watershed, where the dam is projected, was declared as forest reserve, under Presidential Proclamation No 573. Nevertheless, the dam was approved by NEDA without any Environmental Compliance Certificate (ECC) . Furthermore, the project, with the main wall located in the mountain village Pagsangahan, Quezon, is located on ancestral lands of indigenous communities, which did not provide free prior informed consent  and around 1,465 families would needed to be relocated; however, proposed resettlement areas are reported to be fairly inadequate . Around 9,700ha would need to be flooded , containing large primary forests, being rich in biodiversity, such as home to 67 endemic animal species . The dam would significantly contribute to deforestation, drastically degrade the ecosystem’s capacity to provide ecological services and destroy current fish sanctuaries and local farm irrigation systems, hence, posing food security threats to locals. Finally, the dam may increase also water-borne diseases such as malaria . 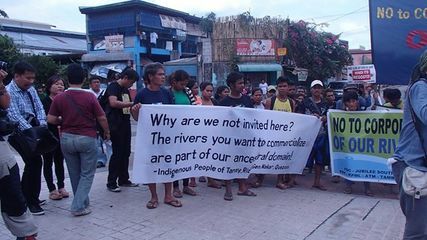 There is strong resistance against the Kaliwa dam and a large coalition of CSO’s was established under the Sierra Madre Network Alliance (SSMNA), in order to oppose the construction  and to provide alternative facts on the project to protect the unique Sierra Madre region . 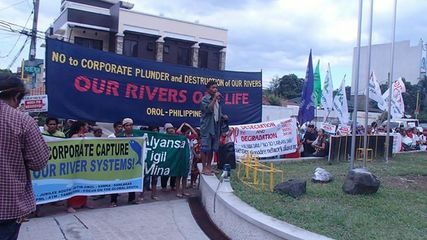 In addition to the large social and environmental impacts, and general economic viability problems of large dams, SSMNA voiced further opposition to the privatization of common resources such as water; rising country-wide debt; and the project’s violation of constitutional rights . Several protests have been organized, and on September 26, 2013, a petition was launched to stop the dams . Just two years prior to that, upon request from SSMNA, September 26 was declared by the President as “Sierra Madre day”, under Presidential Proclamation no. 413 , who now however has approved to move forward with the Kaliwa dam. Other rallies followed during 2014, with indigenous people from Rizal and Quezon province, opposing the Kaliwa and the Laiban dam projects . Opponents claim, that the so-called water crisis, on which basis the project is justified, is mainly created due to Metro Manila’s commercial water needs, but not due to households water needs. Consequently, the project would not only be operated under corporate interests but also directed towards corporate ends and actors. As an alternative, SSMNA calls to tackle the water problem by rather maintaining healthy watersheds and forest reserves, instead of the construction of new dams . Project Details The initial project, containing both dam projects, was developed within the context of the Water Security Legacy (WSL) Roadmap proposed by the Metropolitan Waterworks and Sewerage System (MWSS) in 2012-2016 . After the project resubmission, in which the large project was divided into two separate ones, the New Centennial Water Source Project (NCWS) project includes now the construction of the 600 million-liters-per-day (MLD) supply Kaliwa Dam; a 27.7km long Water Conveyance tunnel; and two 300 MLD WaterTreatment Plans . The implementing agency of the NCWS – Kaliwa dam, is the Metropolitan Waterworks and Sewerage System (MWSS) . The company RebelGroup was appointed as transaction advisor for providing support for the project realization . The project is a Build-Operate Transfer (BOT) project, and according to the Philippine’s Public Private Partnership (PPP) center, there have been eight prospective bidders for the project realization. These are: Prime Metroline Holdings Inc.; San Lorenzo Ruiz Builders and Developers Group Inc.; Obrascón Huarte Lain S.A.; Abengoa Abeinsa Business Development; DM Consunji Inc.; San Miguel Holdings Corp.; Filinvest Development Corp.; Megawide Construction Corp. . The project costs are estimated to PhP 21.734 Billion (around 485 million USD), of which PHP 14.719 billion are requested from the National Government . Other funds are considered to be asked from Overseas Development Aid (ODA) . “Save Sierra Madre Network Alliance (SSMNA), in its advocacy against mega-dams, recommends, first and foremost, a genuine comprehensive, participative and corrupt-free program for the restoration of our watersheds and forests. The Alliance sees the National Greening Program of the present Administration as a false solution, not to mention, as just another venue for the rampant corruption within the DENR. Together with this, SSMNA also pushes the passing into law of the Forest Resources Bill which prioritizes the protection of our remaining forests. Budget for forest protection must also be increased. Any reforestation program would be irrelevant if forest protection, which should include genuine logging moratorium as well as mining moratorium, is not seriously prioritized. SSMNA also strongly recommends uncorrupted repairs and improvements of the already existing dams, including the entire water pipe system. Of the 4,000 MLD capacity of Angat Dam, around 1600 MLD has been recorded as Maynilad and Manila Water’s combined “non-revenue” water or NRW (water leakages). When Maynilad and Manila Water took over our water system, they promised to lower the NRW to 32% by 2007. Has this promise been fulfilled? If the present non-revenue water would be reduced, we would have more water supply. Why? Explain briefly. As of May 2015, the project is moving forward. Revised implementing rules and regulations of R.A No. 6957, “an act authorizing the financing, construction, operation and maintenance of infrastructure projects by the private sector and for other purposes”, as amended by R. A. No. 7718. PRESIDENTIAL PROCLAMATION NO. 573 - RESERVING AS PERMANENT FORESTS CERTAIN PARCELS OF THE PUBLIC DOMAIN SITUATED JIN NUEVA ECIJA, NUEVA VIZCAYA, BONTOC, CAGAYAN, BULACAN, PANGASINAN, QUEZON, LAGUNA, CAMARINES SUR AND ILOILO. 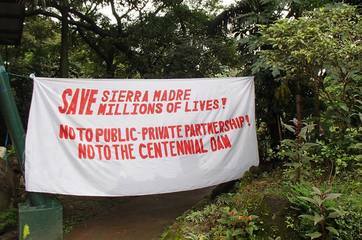 Facebook page "No to Mega-Dams in Sierra Madre Save Sierra Madre Now"